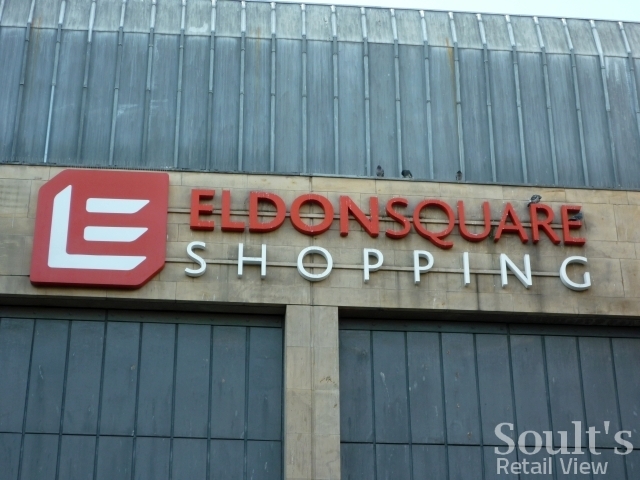 One of the quirks of the recently opened Eldon Square South extension in Newcastle is the contrast in tenant mix between the main St Andrew’s Way mall and those units that only face out on to the surrounding streets. 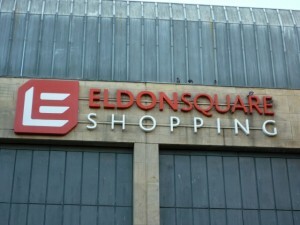 While the former includes flagship fashion stores such as Debenhams, Topshop and Hollister, the new units along Clayton Street – with no link to the actual mall – echo the more secondary-pitch feel of the surrounding area, hosting Tesco Metro, Poundland and Park Lane Cards. While this isn’t automatically a bad thing, it does perhaps limit the Eldon Square extension’s ability to have a much-needed rejuvenating effect on the rather dowdy surrounding shopping streets. 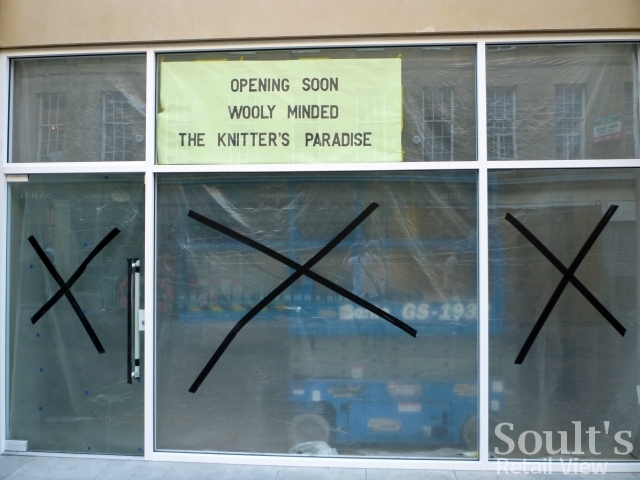 The flipside is that it makes it viable for some interesting independents to make an appearance among the big chains – including the imminent, and intriguing, arrival of Wooly Minded, a shop that describes itself as “the knitter’s paradise”. What do we know about Wooly Minded? Information is pretty scarce – and it’s presumably not the same Wooly Minded as is based in New York State – but there do appear to be at least two existing stores of the same name, in West Percy Street in North Shields, and Fowler Street in South Shields. Wooly Minded will certainly bring something new and useful to the centre of Newcastle, tapping into the same make-do-and-mend spirit that has made HobbyCraft such a success in the current recession. 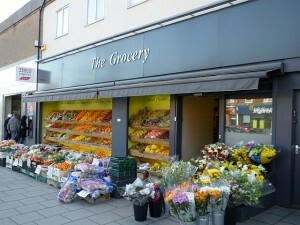 With many high streets looking increasingly identical to one another, this is to be welcomed. 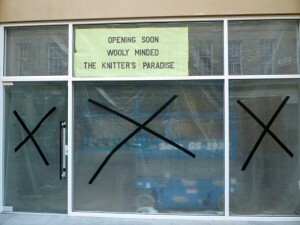 I hope, however, that Wooly Minded’s Clayton Street shopfront gets a more inspiring treatment than that given to the existing North Shields store, where the signage and window displays seem rather lacking in pizzazz [UPDATE, 18 June 2010: I’m now reliably informed that the Clayton Street store will indeed get a bolder treatment]. After all, Neil Wilson Design’s brilliant transformation of The Grocery in Heaton’s Chillingham Road shows what an independent retailer can achieve with the help of a little bit of design thought and flair, creating a frontage that celebrates the colour and appeal of the produce. Surely there’s no reason why what’s good for fruit cannot be applied in a creative way to balls of wool as well?